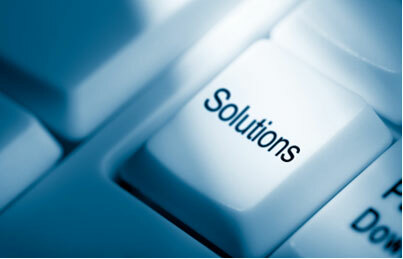 Only your own claims data holds the answer to your solution. Even in your own large health plan network, prices vary dramatically between providers without a significant difference in quality. In fact, your employees can pay as much as 700% more for the same medical service in the same town without receiving any additional benefit. Not only is this costing your self-funded health plan hundreds of thousands, if not millions of dollars, but the benefit to your employees might be nonexistent. By examining your own claims data to determine those providers that are cost-effective, you can ensure that the information is transparent and accurate for your employees while achieving the highest level of cost savings. Why would you trust someone else's data when yours holds the answer? Customization and personalization is the key to engaging your employees in their healthcare. Rewarding employees with positive incentives is the best and most popular way to keep them engaged in important healthcare decisions. Our approach focuses on facilitating and maintaining employee engagement to create behavior modification. Pinnacle Perks rewards your employees for going on our website and choosing cost-effective Participating Providers that you have selected based on the examination of your claims data. 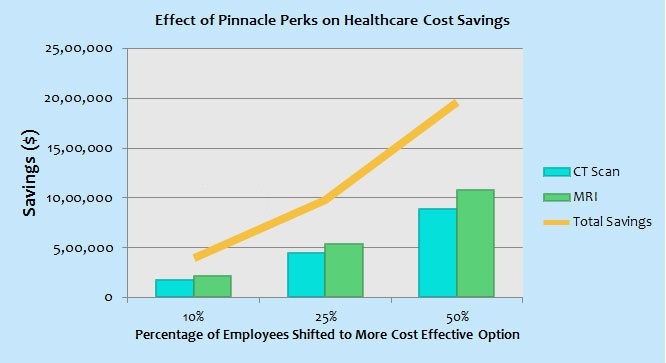 When employees use their Pinnacle Perks health smart-card at the Participating Provider, they receive points that can be redeemed for valuable goods and services. Employees can exercise their right to choose the reward that is meaningful to them, personalizing their experience and reinforcing engagement in their healthcare decisions. Over time, employees build loyalty with the Pinnacle Participating Providers and engagement becomes increased. 1. Engagement needs to be repetitive, not one and done. 2. Involve behavior modification with positive incentives. 3. Remove barriers and offer a program that's free and easy for employees. 4. Invest in technology to improve employee healthcare quality.